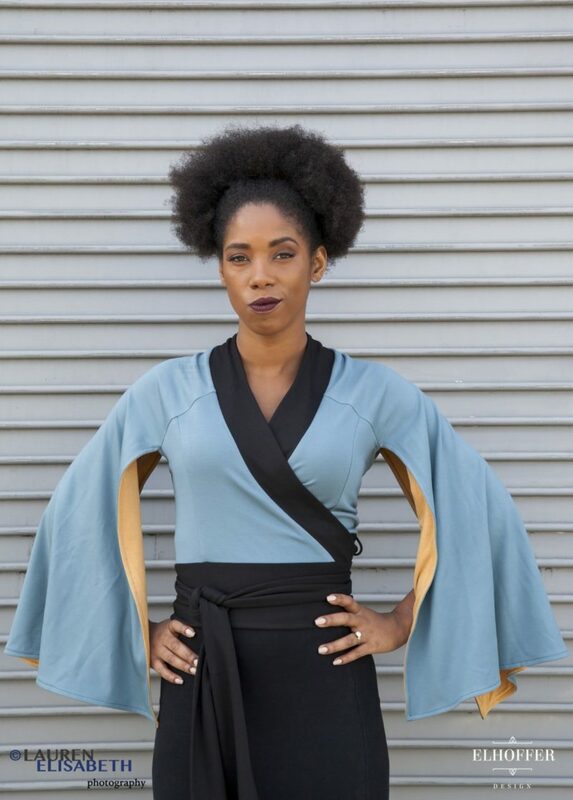 Get ready for Solo: A Star Wars Story with these new Star Wars inspired tops from Elhoffer Design. 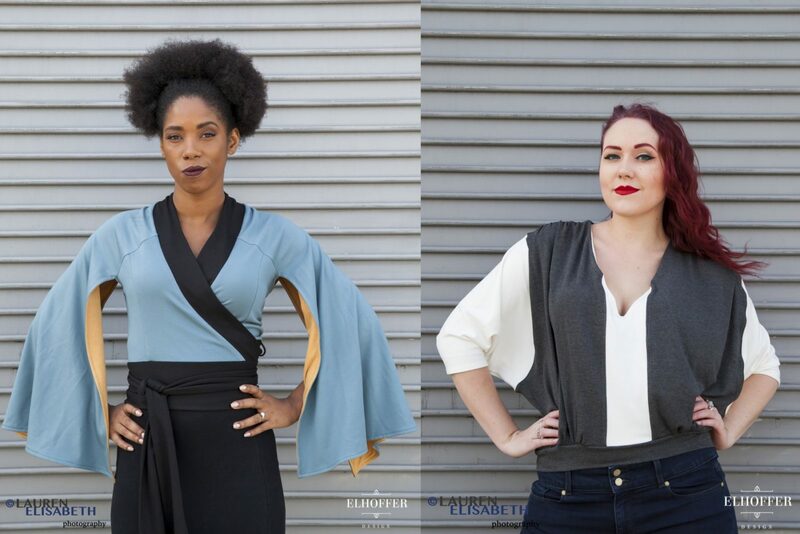 The first is a Dolman style crop top inspired by Han Solo’s classic white shirt and vest, while the second is a blue wrap top with cape style sleeves inspired by Lando Calrissian. 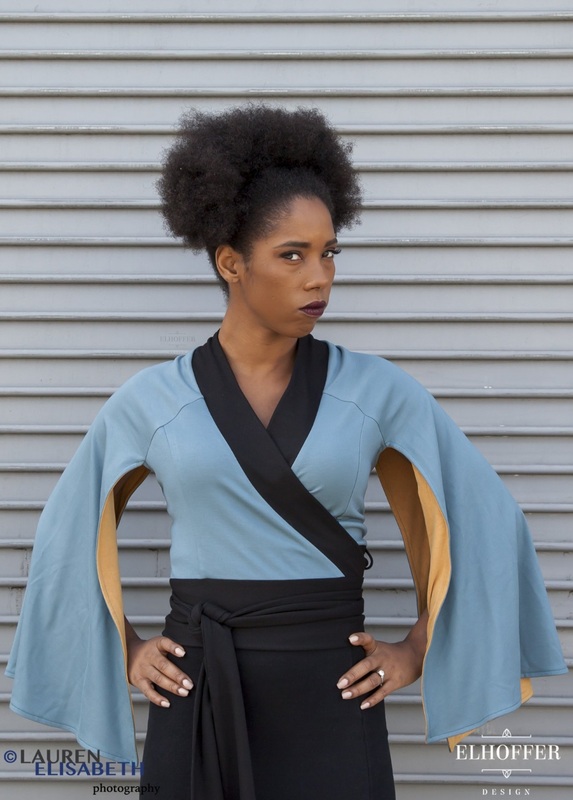 Both tops have the great ‘everyday cosplay’ style that Elhoffer Design is known for – comfort and style while showing your love for your favourite Star Wars characters. 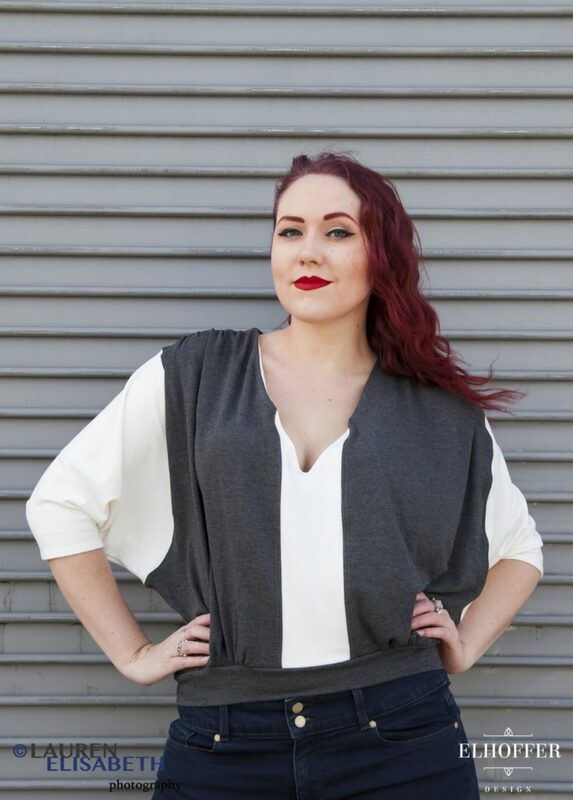 The Galactic Smuggler top is priced at US$85.00 each (size range XS to 4XL), while the Galactic Baron top is priced at US$115.00 each (sizes XS to 3XL) – grab them now for a special pre-order price! Elhoffer Design can ship internationally, which is great! Photos sourced from and belong to Elhoffer Design. 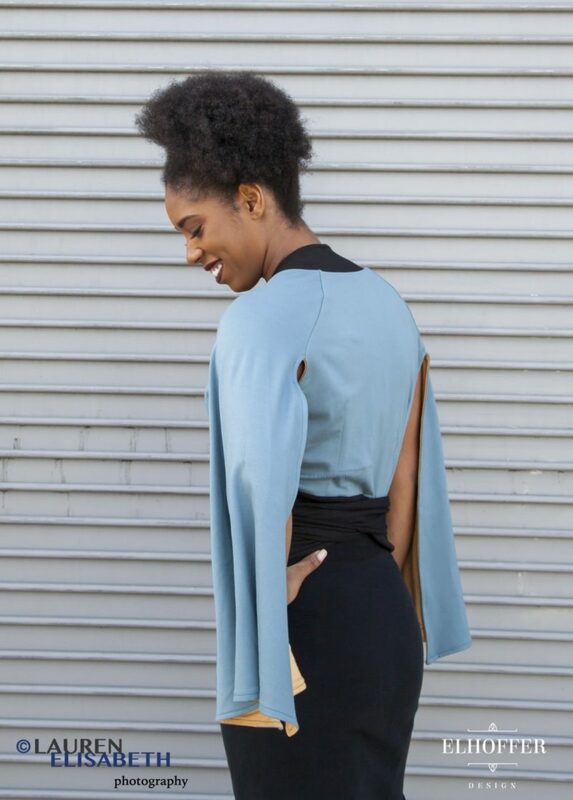 Gorgeous Elhoffer Design Galactic Queen Cape!